This is the page about The Lesbian Talk Show – and this intro is the (mostly true with fictional elements like steeds) version of the start up story – just so you know. In a world with too little lesbian content, where lesbians were seen and not heard, a champion could shouted loud and proud as she stood tall, “I will bring lesbians to the air! I will start a talk show podcast channel! That is right, for I AM SHEENA, champion of all things lesbian. And so she rode to the great land of Learning How To Podcast and found a teacher there Who WAS NO HELP AT ALL! Seriously why are all the how to podcast blogs so awful? So, she mounted her trusty steed and went to the land of Just Figure It Out Yourself. There she spent hours mastering the art of the podcast. I will not bore you with all the lengthy trial and errors. And the multiple podcast recordings she did until she figured it out – just know that there was a lot of trial and error. And then one day she yelled EUREKA! and she pressed the go live button and finally aired her first podcast. And she was proud. The Lesbian Talk Show is podcast channel for women about women. It is primarily aimed at lesbians but with a strong focus on women in general. Our podcasters are mostly but not exclusively lesbian and our content is sometimes but not always aimed at lesbian related issues. Feminist podcasts is probably a better term for the podcast channel as a whole. What Is A Podcast Channel? Think of like talk radio. There are specific shows on specific days and each show has a dedicated team and a specific show concept. You can find out more about our shows here. Or you can find out more about our hosts here. Before starting The Lesbian Review Sheena was in the business of magazines. In fact she was in the business of magazines about business. She finds business fascinating and loves interviewing people who are good at what they do. When she finally gathered the courage to start a podcast she wanted to do one about the business behind the lesfic she loves and features on her review site, The Lesbian Review. That is how The Write Stuff was born. From there she kept meeting fascinating women who were experts in their respective fields and so she persuaded them to do podcasts for her. Tamara worked for many years at the same business publication as Sheena but in the online and marketing department. She loves design and is responsible for designing all of Sheena’s sites. Tamara is a lot less lesbian than Sheena, who eats breathes and sleeps all things les. Tamara, although she loves Sheena a lot, is a little bit baffled at how she ended up a lesbian. Don’t get me wrong, there is no LBD here, just a case of true love. 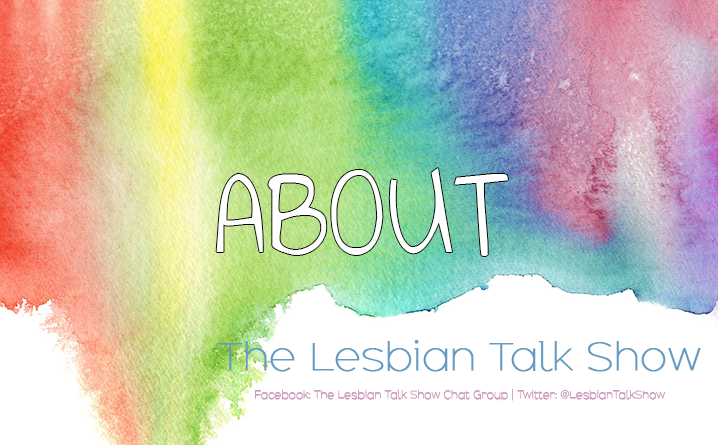 Together, Sheena and Tamara make up the team for Les Talk About it a show that debunks the myths surrounding lesbians and discussing those irritating questions that most lesbians get asked. We have an amazing community supporters. Follow us on Twitter or Facebook or come and join The Lesbian Review Book Club which is linked to the Les Do Books podcast. You can also sign up for our emailer here where we notify you of new podcasts or interesting things happening on The Lesbian Talk Show. If you have questions, topics you would like us to cover or observations that you thought were interesting then please share. We love to hear from you gals, because without you there would be no show.